Uncork the Good Life at Von Jakob Winery & Brewery, Southern Illinois' only Winery and Brewery on the Shawnee Wine Trail. Open year round. 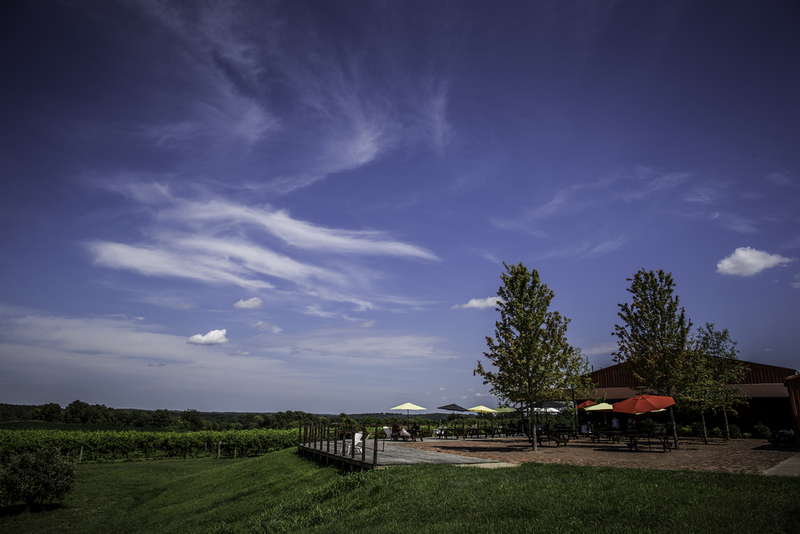 As members of the Shawnee Hills Wine Trail, we offer a beautiful winery with incredible views of the southern Illinois landscape. 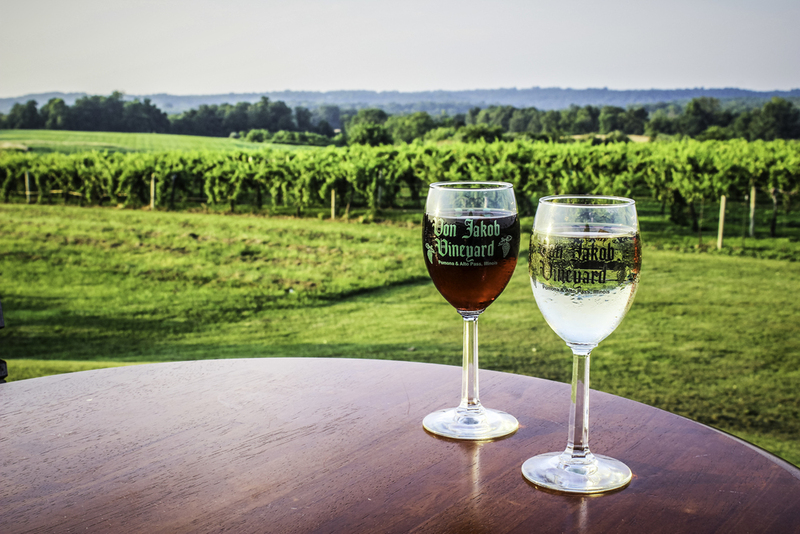 Located just minutes from Carbondale, our facility in Alto Pass offers panoramic views of the winery’s orchards and vineyards with a picturesque backdrop of the Shawnee National Forest. While visiting, enjoy a variety of award winning Illinois wines, craft beer and delicious hard apple cider. With over 20 years of experience, enjoy a wide selection of nearly 20 different award winning wines. During your visit be sure to take a few bottles home with you, or order online now. A variety of styles ranging from our crisp, clean, lightly-hopped German Pilsner to our rich, dark Chocolate Milk Stout, you are sure to find a beer that delights. DRINK, Eat, PlAY & STAY. The good life is more than great spirits, enjoy a variety of food, events throughout the year, and end your day at our on-site bed & breakfast. Our wines are available for purchase on location, by phone, at various retail locations and directly online. Click on any wine below to learn more or click here for a detailed list of ways to order. Our beers are currently only available on location and our hard cider is available on site as well as in various retails locations.